Waldo Frank was born into a prosperous Jewish family in Long Branch, New Jersey, on 25th August 1889. The family moved to New York City and while studying at Yale University, he developed radical political views. In 1916, he was made associate editor of The Seven Arts, a journal which published the work of Randolph Bourne, John Reed, Sherwood Anderson, Amy Lowell, John Dos Passos, Eugene O'Neill and Robert Frost. The journal took a pacifist position toward the First World War. After the USA declared war on the Central Powers in 1917, the journal came under government pressure to change its policy. When it refused to do this, the journal lost its mailing privileges. These anti-war journals like The Seven Arts were forced to close-down as a result of the Espionage Act. One of its main contributors, Randolph Bourne, wrote: "I feel very much secluded from the world, very much out of touch with my times. 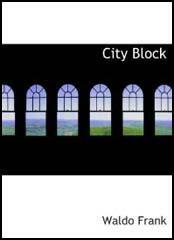 The magazines I write for die violent deaths, and all my thoughts are unprintable." In 1917 Waldo Frank published The Unwelcome Man. This was followed by Our America (1919), The Dark Mother (1920), City Block (1922), Rahab (1922), Holiday (1923) and Chalk Face (1924). Harvey Pekar has argued: "Though marred by a naive romanticism, these works were perhaps the first American use of stream-of-consciousness technique... Frank was deeply concerned with social and political problems, above all the integration of the individual into the modern social order." 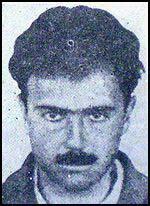 Waldo Frank remained a committed socialist and wrote for left-wing journals such as The Liberator and New Masses. Frank also became a regular contributor to The New Yorker and The New Republic. Books on politics by Frank include Our America (1919), Salvos (1924), The Rediscovery of America (1929) and America Hispania (1931). Harvey Pekar has argued that in these books he "denounced the effects of U.S. imperialism upon these still incompletely modernized, rationalized, and bourgeoisified systems." However, Pekar admits that "within the United States, these works were generally misunderstood as mere travel literature." Frank was a supporter of the American Communist Party and lectured for the Friends of the Soviet Union. In 1932 Frank joined Mary Heaton Vorse, Edmund Wilson and Malcolm Cowley as union-sponsored observers of the miners' strikes in Kentucky. The men's lives were threatened by the mine owners and Frank was badly beaten up. He also took part in the protests against the way the Bonus Marchers. In 1935 Waldo Frank and other left-wing writers established the League of American Writers. Frank served as president and other members included Erskine Caldwell, Archibald MacLeish, Upton Sinclair, Clifford Odets, Langston Hughes, Carl Sandburg, Carl Van Doren, David Ogden Stewart, John Dos Passos, Malcolm Cowley, Lillian Hellman and Dashiell Hammett. In the 1936 Presidential Election he campaigned for Earl Browder. Frank broke with the American Communist Party over the Great Purge of those Bolsheviks who were accused of being followers of Leon Trotsky. As Paul Buhle has pointed out: "The public portrayals of Russia as a virtual paradise for workers and peasants required great credulity, even in the best of times, and the later 1930s were far from the best of times. Stalin's purges of the Old Bolsheviks through the Moscow Trials required ideological overkill from American Communists, which baffled and pained their liberal allies." After the Second World War Frank continued to campaign against imperialism and was an early supporter of Fidel Castro and in 1960 served as chairman of the Fair Play for Cuba Committee. 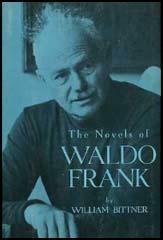 Waldo Frank died on 9th January, 1967. In July he (Theodore Dreiser) made an expedition to the Western Pennsylvania coalfields, where the National Miners Union, organized by the Communists, was conducting a hopeless strike. He issued a violent and merited rebuke to the American Federation of Labor for neglecting the miners. Early in November, in his capacity as chairman of the NCDPP, he led a delegation of writers (Malcolm Cowley, Edmund Wilson, Waldo Frank, Mary Heaton Vorse) into Harlan County, Kentucky, another area that the Communist union was trying hard to organize. Harlan was a classical example of labor warfare in a depressed industry. The market for coal had been shrinking, with the result that the operators had tried to protect their investments by cutting wages, and also - since the miners were paid for each ton they produced - by using crooked scales to weigh the coal. In 1931 very few of the eastern Kentucky miners were earning as much as $35 a month, after deductions. Even that miserable wage was paid, not in cash, but in scrip, good only at the company store and worth no more, in most cases, than fifty or sixty cents on the dollar. The United Mine Workers - John L. Lewis's union - had withdrawn from the field, apparently on the ground that the situation was hopeless and that the miners couldn't afford to pay their union dues. Then the Communists had stepped in, as they often did in hopeless situations, but their meetings were broken up by deputized thugs armed with Browning guns.